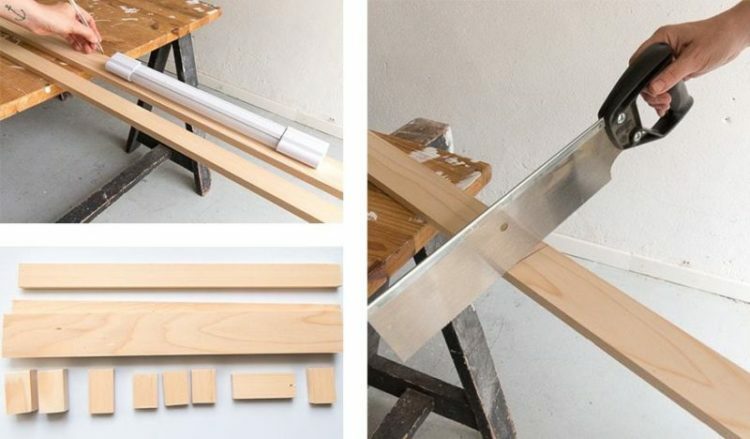 Perfect DIY to make a convenient articulated wooden lamp to work at home in a Scandinavian trend. 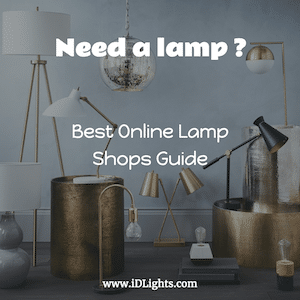 It’s up to you to choose whether it sticks to the wall if it illuminates you above your workspace. 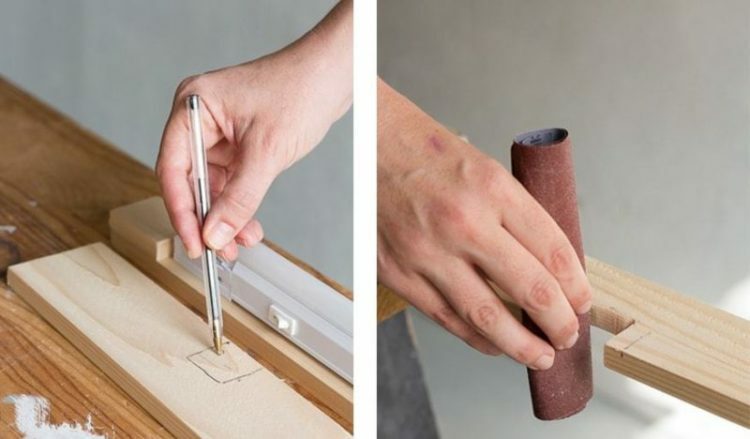 Practical for meticulous work. It can also be made with a wooden pallet. 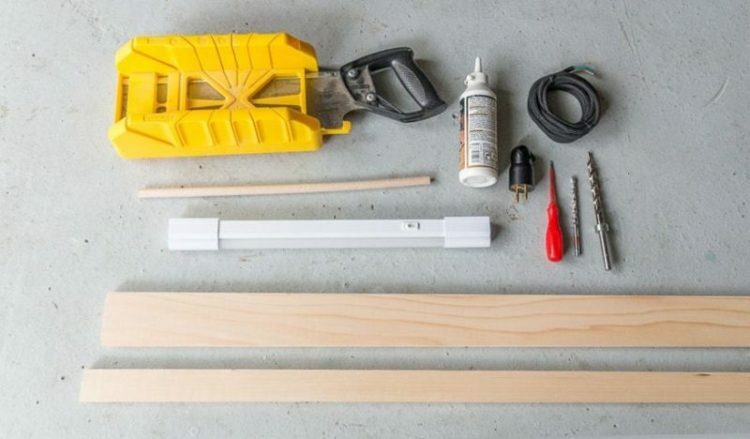 2 – The neon is then fixed by taking care to drill a hole for the power cord. 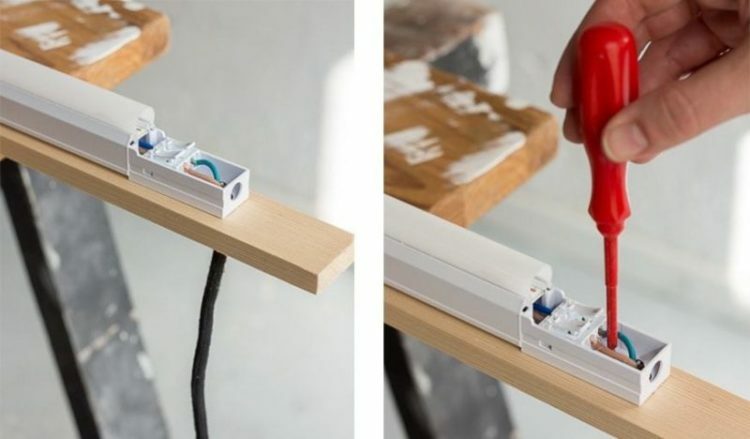 3 – Pass the electric wire through the hole drilled, connect to the LED strip according to the instructions. Fasten the screws with the supplied screws. Connect the plug to the power cable if necessary. 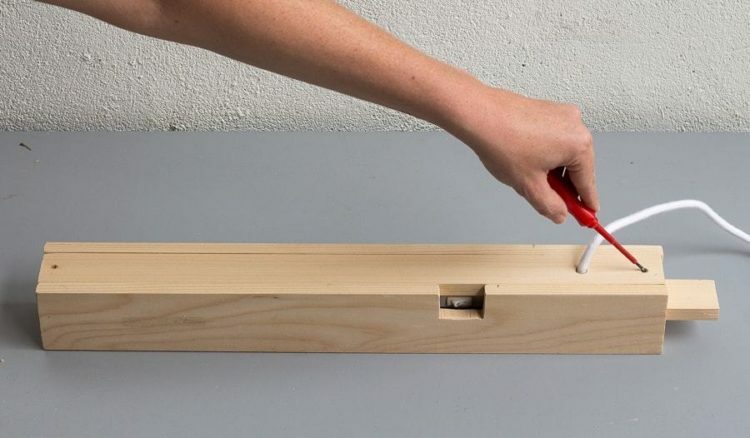 4 – If you wish to light the lamp directly at the box, a notch is cut out to access the switch. 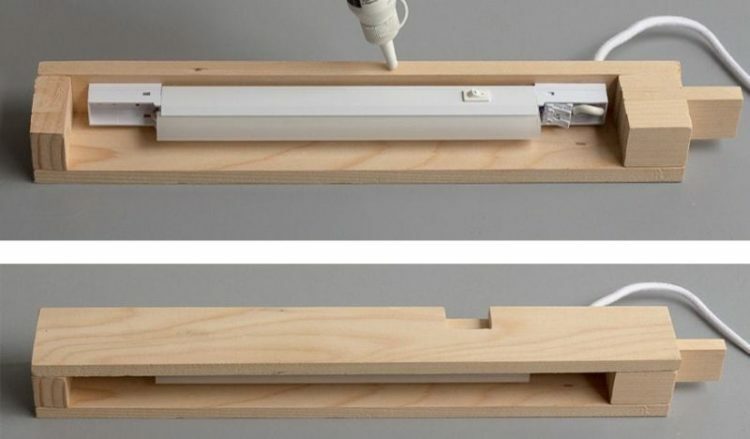 6 – Attach the whole by 2 screws on the top. 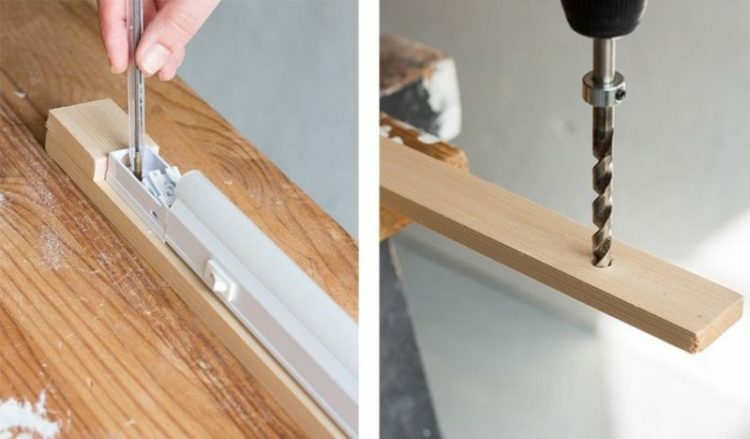 Tip: To prevent the wood from splitting, screw with a slight angle. 7 – Turn the bracket over. 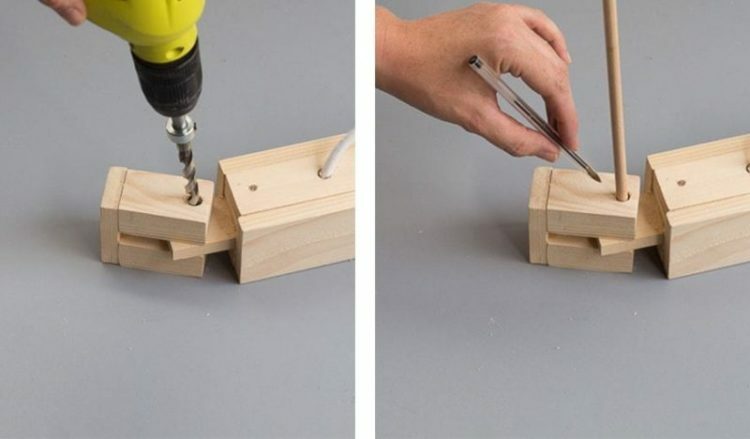 Consolidate the assembly with 2 screws. 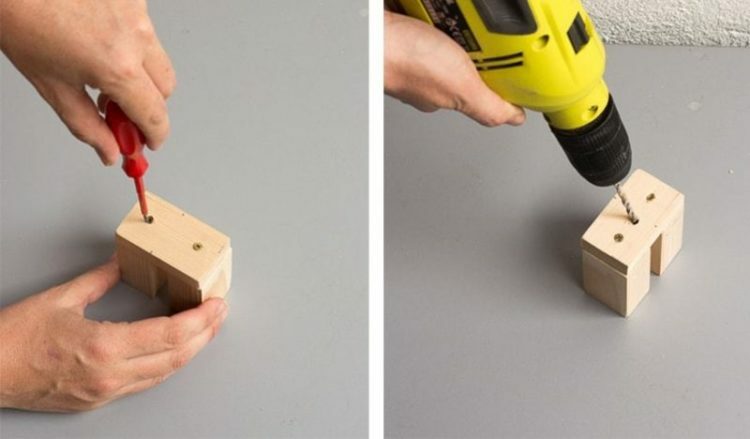 Using a thin drill bit, drill the center. It is through this hole that the screw will pass to fix the bracket to the wall. 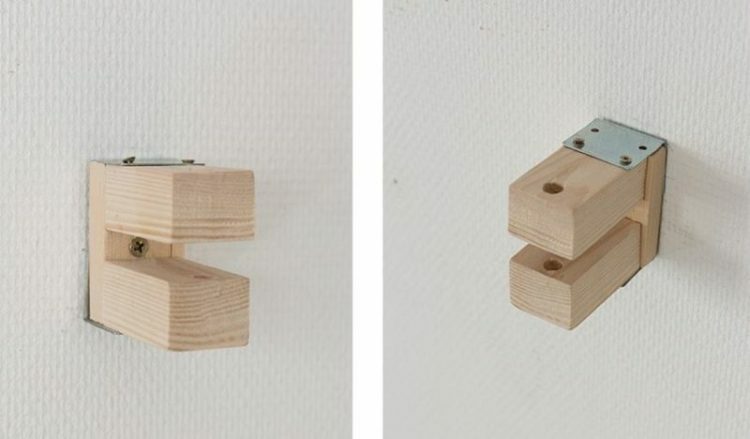 8 – Finally, we manufacture the articulation, which will be reinforced with 2 metal brackets. 9 – And here it is! 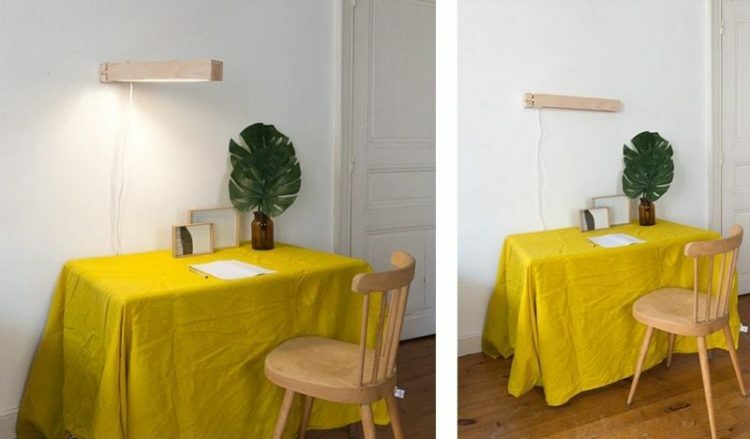 The lamp turns 180 degrees to illuminate the workspace according to your desires!